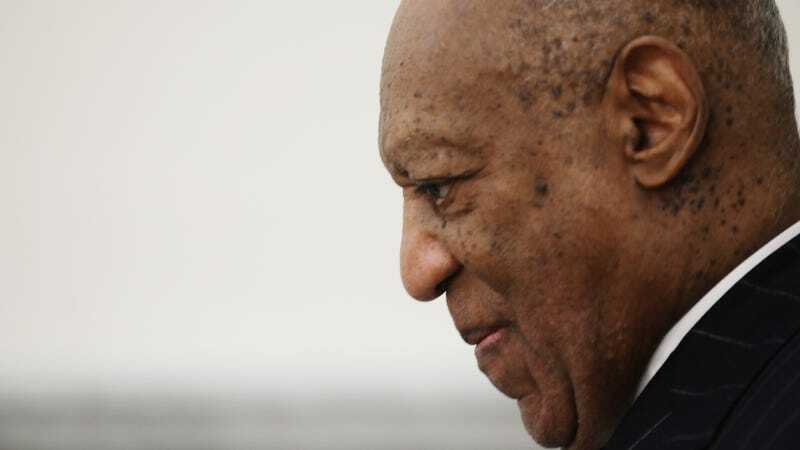 NORRISTOWN, Pennsylvania—Janice Baker-Kinney, like so many other women who say Bill Cosby drugged and sexually assaulted them, has told her story before she took the stand on April 11, at the disgraced comedian’s retrial. She was a bartender at Harrah’s in Reno, Nevada, in the 1980s when she went over with a friend to see Cosby for a pizza party. It was at a house where Harrah’s let entertainers stay. Soon after Baker-Kinney arrived, she said that Cosby gave her two pills, which she assumed were Quaaludes. From there, Baker-Kinney said, her memory gets hazy. She testified that she remembers sitting down to play Backgammon, saying “this game isn’t fair anymore,” then face-planting into the board. Next, she recalled, it sounded to her like her friend was leaving, and Cosby was fondling her, placing his arm inside her shirt and then down toward her underwear. Baker-Kinney’s next memory, she said, is of waking up in the house, hearing Cosby on the phone, and realizing that neither of them had clothes on. She rushed out of the house, joking with him that she wouldn’t tell the media. She was asked, over and over again, why she had retained attorney Gloria Allred. “So for 30 years you didn’t suspect that someone had sexually assaulted you?” Mesereau asked. Judge Steven O’Neill then asked her, politely, to try to answer the question. “I felt isolated in that it happened to me,” Baker-Kinney said. Mesereau pushed forward with another question. Baker-Kinney repeated what she had said before about how she she had avoided thinking about it for 30 years, then added, “Because I felt isolated in what had happened to me. Again the guilt and the shame come out and that I was to blame for what happened to me. I did the stereotype to myself. ‘I felt isolated in that it happened to me’ Baker-Kinney said. A similar exchange would happen, again, between Mesereau and Baker-Kinney over her 30-year delay in which Baker-Kinney said, “I blamed myself. I don’t know how many other ways I can say that. I blamed myself.” It only ended after an objection from prosecutors was sustained by O’Neill. Mesereau went on to press Baker-Kinney about why she had a statement released through Allred. So far, Cosby’s defense lawyers have brought up Allred with both women who released statements through her—using it to mention that Allred once called for Cosby to create a $100 million fund for the women speaking out. It fits with a theme expressed in their opening statements: that everything about the Cosby accusers is just a cash grab. Chelan Lasha underwent similar grilling about her delays in reporting to police, her guilty plea in 2007 for making a false report, and going to see Cosby perform after the date on which she has said Cosby sexually assaulted her. I’m going to insert myself here, to talk for a moment about this line of questioning and where it comes from. Cosby’s lawyers don’t need to convince me, or you. They need to convince the jurors that women who say they were raped cannot be trusted because of the testimony they’ve elicited about drugs, alcohol, their mental health, their decision-making process, and every possible embarrassing detail of their lives. Defense lawyers do this type of questioning because it works. Their job is to, within the rules of the court, get an acquittal—and it’s a constitutional right anybody charged with a crime both has and deserves. Lawyers will only stop asking these things when juries stop being convinced by them. The jury has to decide not only about Cosby, but, in this post-Weinstein world, how much these types of questions matter. Court resumes on Thursday, April 12, with more testimony from Baker-Kinney, on cross examination.